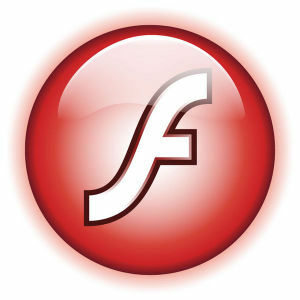 Chrome was updated last week (I failed to notice because of the crunch mode at work) with a new Flash from Adobe. I had just updated the Chromium package for Slackware last week, but I decided to apply the micro version upgrade anyway. More detail on the Chrome releases blog for Chromium 38.0.2125.104 – some bugs were fixed but apart from the Flash upgrade in Chrome, not much exciting there. The real heavy lifting was done for last week’s release. I took the binaries from that new Chrome RPM and used those to update my Slackware package for chromium-pepperflash-plugin. New version is 15.0.0.189. 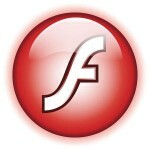 Adobe releases its Flash updates for all platforms, one of them is the “legacy” Linux NPAPI plugin for Mozilla-compatible browsers. See Adobe’s monthly security bulletin for all the version numbers and vulnerabilities. The Linux flashplayer-plugin went up to 11.2.202.411. A new package is not required therefore. Posted: 18 October, 2014 in Slackware, Software. Thanks for your work Eric. Recently I have compiled and installed FreshPlayerPlugin on all my Slackware machines, for using the Pepper Flash in Firefox. It seems to work quite nicely. Thanks again for the timely update of flashplayer-plugin package. Thanks Eric for all the work you put into this. Are you planning to compile a new lxqt 0.8.0 release? Hi Eric, the newest release of Chromium wants to clear the chromium config of the pepperflash and winevide plugins. Do I need to reinstall them so the integrate properly? BrianA, chromium does not want to do that. But it will install a default chromium configuration file as /etc/default/chromium.new. As the install script says: “we leave the .new copy for the admin to consider…”. You should always consider if you really need the .new files that get installed with some packages. The “slackpkg new-config” command has a “diff” option to show you the differences between old and new configurationfiles. If you overwrote the customized chromium configurationfile then re-installing the chromium plugins is the fastest and easiest solution.